Some big events along the summer stream of stakes were presented over this past weekend. New York Sires Stakes (NYSS) on June 28 at Yonkers produced obvious winners, Romantic Moment at $2.20 and Handsoffmycookie at $2.60. Our other choice, Brownsville Bomber, was second. NYSS at Yonkers on June 29 featured a $7.50 winner: Forever Just. Steelhead Hanover finished second and Breakin The Law was off the board. 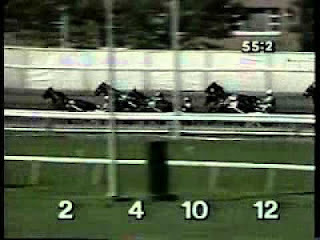 At the Meadowlands on June 29 we lost the Titan Cup to the big favorite, Chapter Seven. Then, on Saturday, we scored in a division of the Reynolds stake with Verdad at $13.60. Our other two Reynolds picks completed a triple, with Gottaseeaboutagirl and Blackjack Princess coming in second and third, respectively. 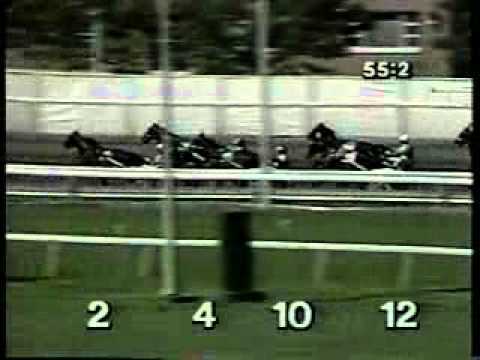 Pocono Downs hosted the highlighted stakes of the weekend. We suggested a pass on American Jewel in the James Lynch because we figured she would pay little to nothing and that is what happened; she paid $2.10. In the Ben Franklin Final we were third with Aracache Hanover and Hurrikane Kingcole shocked the crowd when he was burned to a crisp going first over in a scorching three-quarters in the Max Hempt Final to finish off the board. A Rocknroll Dance won at an astounding 17-1. 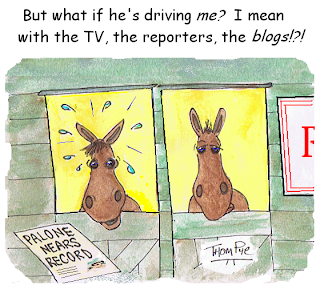 It’s the last month of our exclusive Hambletonian Trail blog. We offer previews of races through the week for both divisions with Hambo hopes, with reviews of those events at the Hambletonian Society site. Every weekend get Balmoral Pick-4-and-win picks at the USTA’s Strategic Wagering Program page which includes suggested win bets. Last week we hit with Sand Starla at $10.80. Also, enjoy our latest harness racing musings and the archive of articles on a host of topics at my Hoof Beats blog, Vast Performances. At Twitter you can easily follow Frank and Ray Cotolo and get up-to-the-minute suggestions for wagers at many harness raceways. As you do, make your decisions and wager from TwinSpires. There is an easy way to get on our mailing list for exciting information to help you play for profit. By clicking here you will be added to the list and be secure as a member of that list (we do not share the emails with anyone). Yonkers Raceway raises the guarantee for its Tuesday late Pick 4 to $25,000 beginning July 3. The late Pick 4 consists of races seven through 10 every racing night. Tioga Downs, in league with the United States Trotting Association’s strategic wagering program, will offer a $5,000 guaranteed Pick 4 each Sunday in July. The Pick 4 will be offered on the last four races of the day on each Sunday afternoon racing program. The post time 1:30 p.m. EST. Tioga Downs began its weekend of live racing action on June 29 at 6:50 p.m.
At the most recent USTA annual meeting in February, President Phil Langley appointed a committee of horsemen and track operators to study drug testing and to investigate what the industry can do to improve testing procedures, including providing more financial support. The committee aims to identify and eliminate exotic and unknown drugs suspected as performance enhancers. A very positive development has been the financial support of the Pennsylvania horsemen, who have stepped forward and committed a portion of their revenue to working on processes that will identify strange substances. “As this process moves on we will keep the industry up to date with timely reports,” said Langley. The racing schedule at both Tioga and Vernon will change for the upcoming ‘Fourth of July’ holiday week. Tioga picks up an extra live date on Wednesday, July 4. Vernon will race on Tuesday evening July 3 and have a matinee card at 1:15 p.m. on Wednesday, July 4t, then continue with Wednesday evening racing throughout July and August. Eric Carlson won his first race at the Meadowlands, a week after Ray Cotolo got an exclusive interview with him. You can read that by clicking here.